Sleeps 6 people. A maximum of 4 adults. If the western area of the Algarve is your choice (and a great choice it is!) 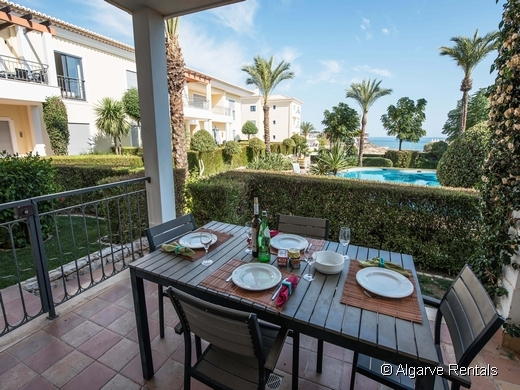 for a family holiday in the sun, then this lovely 2 bedroom air conditioned self catering rental apartment might be the perfect choice. The resort has a fantastic swimming pool - picture yourself...you by the pool with a good book and the kids having fun in the water.... - and for real water babes is just a short walk to the beach at Porto do Mós. 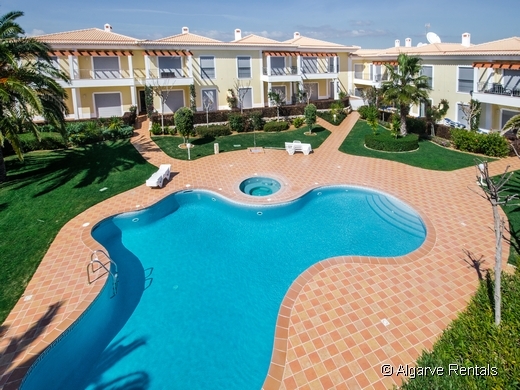 This popular western Algarve beach resort is becoming a firm favourite with those who want to be close to everthing this bustling, historic city has to offer but without being right on top of the action! The beach is within a short walk and the main town of Lagos is a 7 minute drive and Luz is about 10 minutes in the other direction. 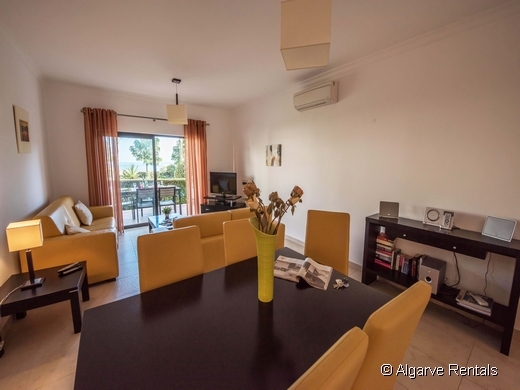 With 2 bedrooms, 2 bathrooms and a fully equipped modern kitchen the apartment has terraces at two sides to catch both the morning and late afternoon sun. Ideal for families with young children as the terrace off the lounge has a private gate leading directly to the pool, meaning that parents can sit on the terrace and watch the youngsters in the pool. 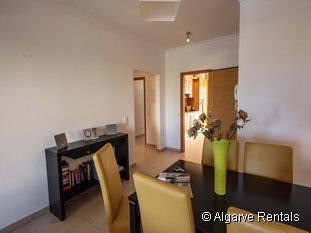 This modern two bedroom Algarve holiday rental apartment is in an attractive development within easy walking distance to the beach at Porto de Mós., just outside the main town of Lagos. - Two bedrooms, both twins. 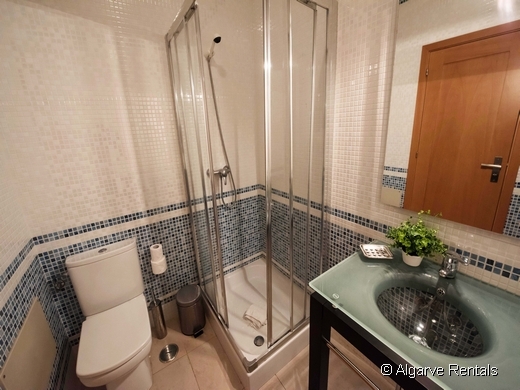 - Two bathrooms; one bathroom en-suite with a bath and the other a shower room. 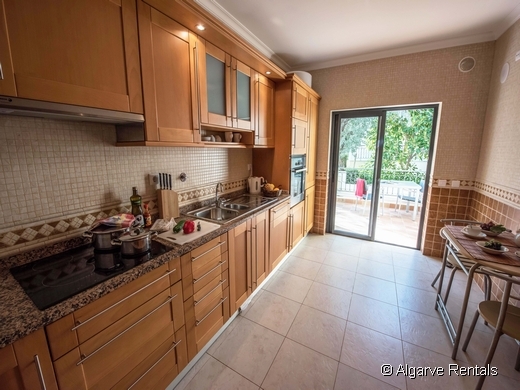 - Bright and practical kitchen with all the usual "mod cons", such as washing machine, dishwasher, microwave, fridge/freezer etc. - Large terrace off the kitchen, which catches the late afternoon sun making it ideal for eating al fresco. - Living / dining area with two comfortable leather sofas and a colour TV. - Lounge/dining area looking out onto another terrace and the pool. There is air conditioning in the bedrooms and living room. The terrace off the lounge has a private gate which leads directly onto the pool area making it an ideal choice for those families with young children as you parents can sit on the terrace and keep an eye on them at all times. 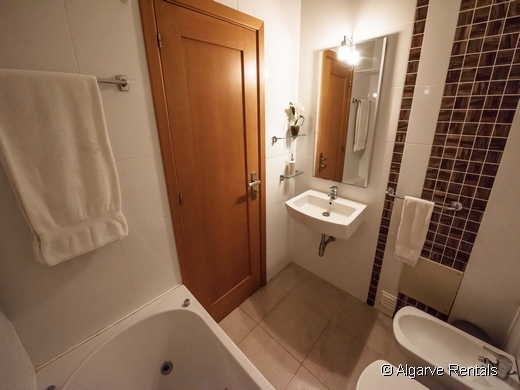 This apartment is only a short walk to Porto de Mós beach and a short 3 minute drive to the nearest golf course, Boavista, and just a 7 minute drive into the centre of Lagos. There is also a parking space available in the the underground garage. 2 twin bedrooms - one is en-suite & a sofa bed for up to two children. 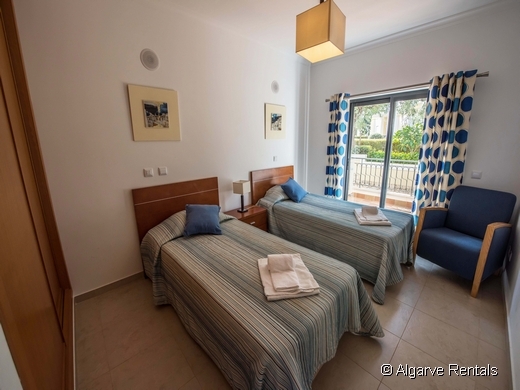 Prices are per week per property for up to the maximum number of bed spaces. EG. 4 bedroom villa will be priced for up to 8 people, 3 bedroom for 6 etc. Additional children on folding beds or sofa beds and in cots (unless otherwise stated) will be charged a supplement. See guide notes. If you are at all unsure please contact us at any time by email or phone. Every property is different, as are your holiday needs, and we are happy to advise to make sure you are choosing the right one for your stay in the Algarve. 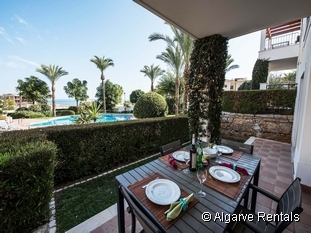 You don't have to work out the cost of this property for your travel dates - get an instant quote now! Tariff per week for up to 4 sharing. Minimum 7 days rental in high/peak season. Please note that for arrivals at the resort (not airport) after 9pm a 30 euros late charge will be applied - paid to the local manager on arrival. Payment is bycredit/debit card in both sterling and euros. 30 per cent deposit on booking and the balance 10 weeks before arrival. Euro rates are fixed. Other rates where shown are for guidance only and may not reflect the current rate of exchange. We recommend car hire to make the most of your holiday in the Algarve. Please refer to our web site prices if car rental is required. 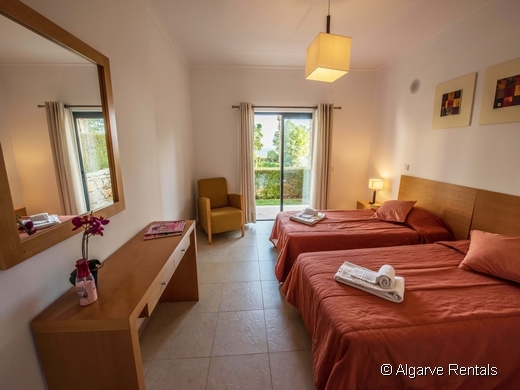 We offer some of the most competitive rates available in the Algarve. We can also provide transfers to & from Faro airport in an air-conditioned vehicle. Contact the above Agent if you have any questions about the cost, availability or accommodation of this property. You can also contact Algarve Rentals directly if you have any questions about the area, Car Hire or Airport Transfers. Are my travel dates available? The owner/agent manages an availability calendar for this property. Click the link below to check your travel dates. This enquiry will go to the property owner or agent. Some will answer immediately - others may take longer, particularly if you enquire at the weekend. If you include a mobile phone number we will also send you a text message to let you know your reply has been sent. Email can be fickle and a reply may end up in your spam/junk mail folder - remember to check. Please provide as much information as you can to help the owner/agent answer your enquiry quickly and effectively. If you make an enquiry and don't reply the advertiser won't know if you have received it. A courtesy email is appreciated. Book private Faro airport transfers right here. No waiting, no sharing & pay on arrival. Fully insured, child seats included & modern fully licenced vehicles. Book your hire car now! Even if you are not booking a property! 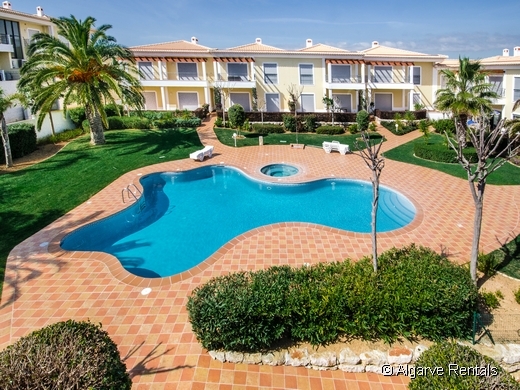 Best value - great rates - direct from airport with our local Algarve supplier.